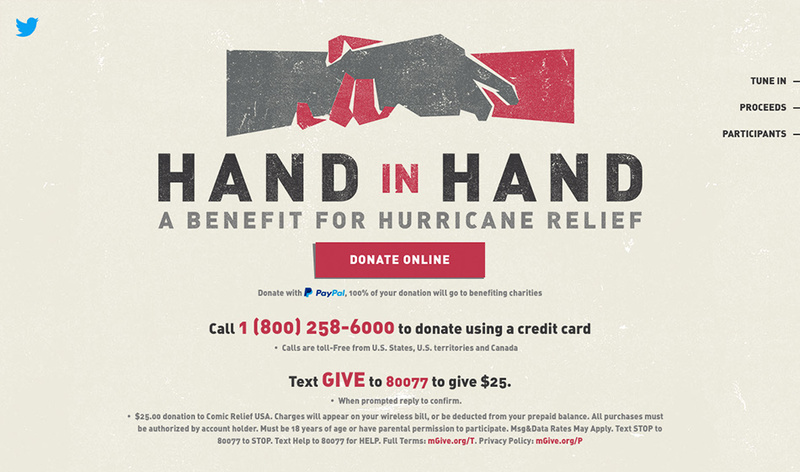 In the wake of disastrous and deadly hurricanes, millions of Americans unite together to raise more than $55 million dollars for disaster victims. 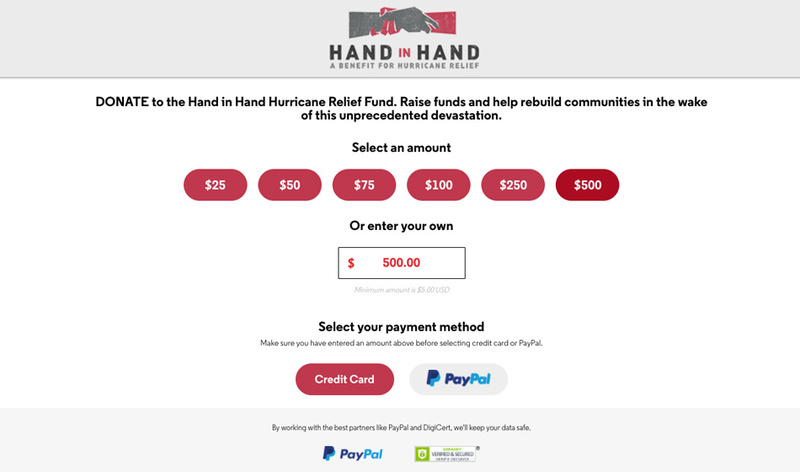 With only 3 days before the scheduled telethon, construct a website to help drive donations and bring awareness to the masses. 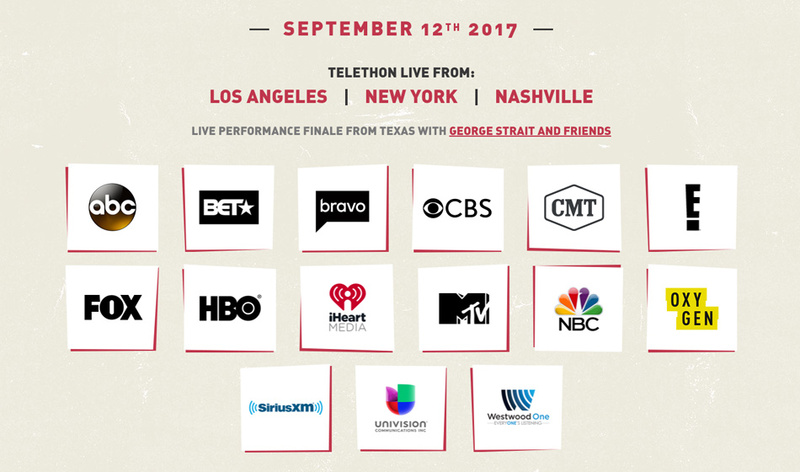 Given the magnitude of the televised event, the website will need to include: a dedicated server cluster to handle millions of page impressions, live event details, ApplePay integration, charity information, and an extensive list of celebrity volunteers. 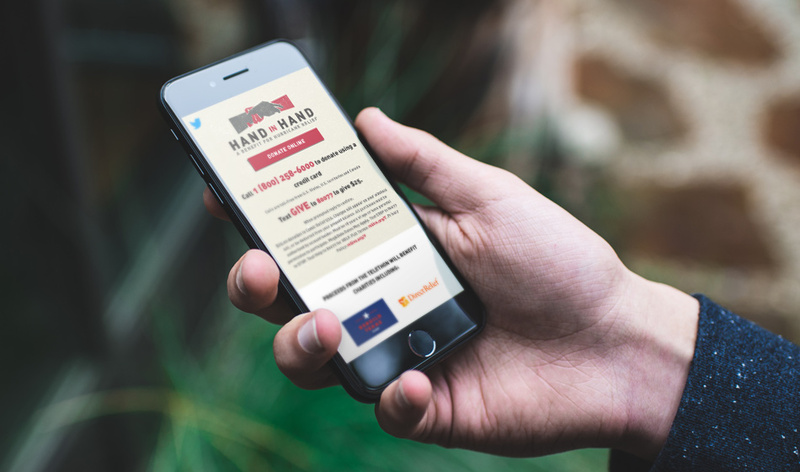 We worked around the clock to deliver a website that would prove to be a crucial component to the success of the campaign. It was all hands on deck as we churned out multiple phases of the website; with a number of charities, supporting partners, and celebrities coming forth to take part in this historic event. Our development team worked diligently to ensure that the website delivered a fast and secure platform for users. Outstanding! 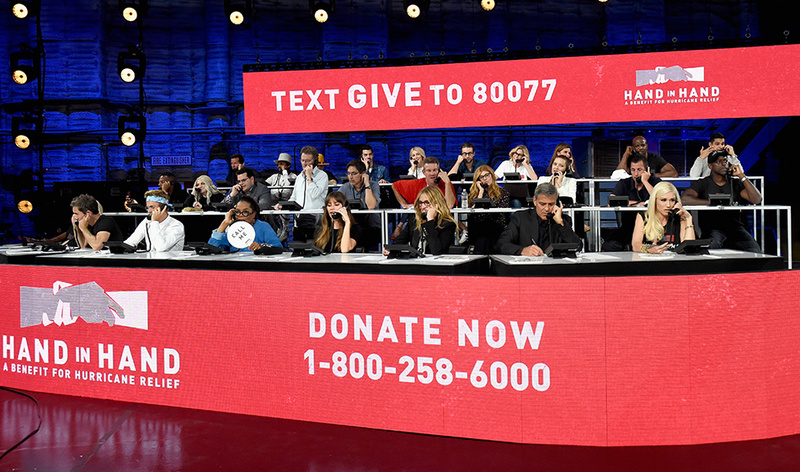 We were thrilled to see the millions of generous Americans who showed their support by making a donation to the charitable event. With a peak of nearly 60K concurrent users, 1.2 million total page views, and a 750ms load time, it was safe to say that we had hit our mark. Scooter Braun, and his team at SB Projects, had presented us with another opportunity to share our passion with the global audience. 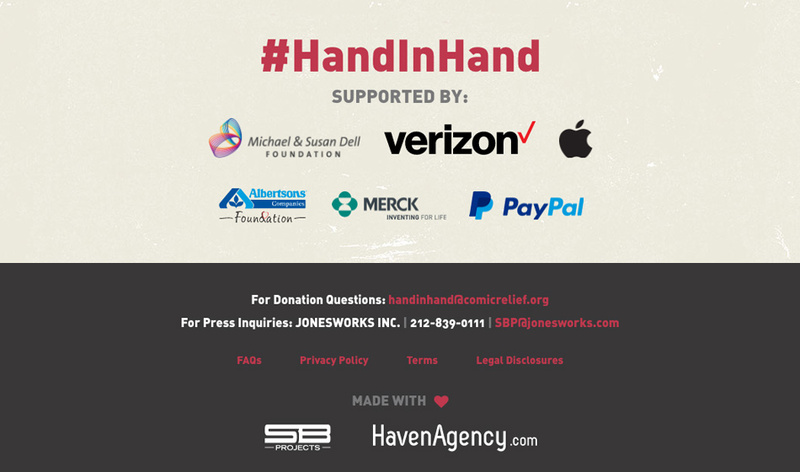 When we were first approached with the Hand in Hand project, it seemed that the task and scope involved were almost impossible. With only 3 days and limited resources available, it became clear that this would be one of our biggest challenges of the year. To be a part of such a historic event was something truly special, and our team of dedicated professionals jumped on the opportunity. We worked hard through three long days and nights, including over the weekend, and pushed ourselves to go above and beyond the client’s expectations. Working from just a logo, our design team worked to hammer out a “mobile first” homepage design. We utilized a modern navigation system, textures from the logo, stylized design elements, and a simplistic layout to bring everything together. Batches of assets were being delivered by the hour and it was imperative that we stayed organized. We went through multiple variations of design before finally locking in a comp that was build-ready. Our front-end development team began proactively building a framework for the website and worked to make it extremely flexible, understanding that content could change at any moment. Browser compatibility, image optimization, page load time, and file compression were huge factors in the build process. As the countdown to the telethon grew closer, we were triple-checking our work to ensure that there were no issues once we went live. We delegated teams to be on standby throughout the night in case there were any server or performance issues. Our development team monitored the servers with a close eye, providing an additional layer of security and peace of mind for our clients. We built up an ApplePay server cluster to handle the influx of traffic, and set up Google Analytics to monitor performance. After almost a week of high volume traffic, we began to taper down our servers to normalized levels. We commend the talented team at SB Projects for their efforts in helping to bring the event together, and we were honored to be given another opportunity to collaborate with their organization on another wonderful cause. Together, we can all make a difference!